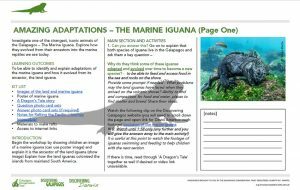 Teaching ‘Evolution In A Day’ resources! How do you approach teaching evolution to primary school children? Do you need help in planning activities that are suitable and exciting for the young scientists in your classroom? Look no further! 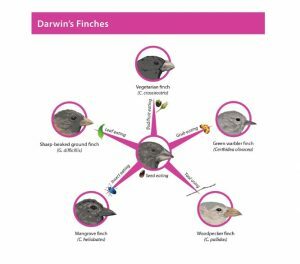 We have developed an innovative ‘hands on’ day of activities designed to tackle this tricky concept, ticking off all the national curriculum objectives and helping you to teach evolution in day! We’ll take you on a journey of discovery, beginning with understanding the process of natural selection, to how animals of Galapagos have adapted and evolved to their unique habitats. Children will explore the world of giant tortoises and marine iguanas, and formulate their own ideas and theories through sound scientific questioning and investigation. The teacher guide will take you through the day, with suggestions for further study. Every activity is accompanied by a comprehensive plan and set of resources. Last month saw the very first workshop take place using the new resources, which was delivered at Erasmus House with St Joseph’s Primary School from Staffordshire. The Year 6 class participated in ‘The Nature of Natural Selection’ and then split into groups to complete ‘In the Land of Giants’ and ‘Amazing Adaptations’ activities. So far, all feedback has been excellent and we hope that more classes will make use of these fantastic resources very soon! So what are you waiting for? Start exploring the fascinating world of evolution today! Categories: Uncategorized, Wildlife of Galapagos | Tags: Blog, Darwin, evolution, finch, iguana, learning, marine iguana.